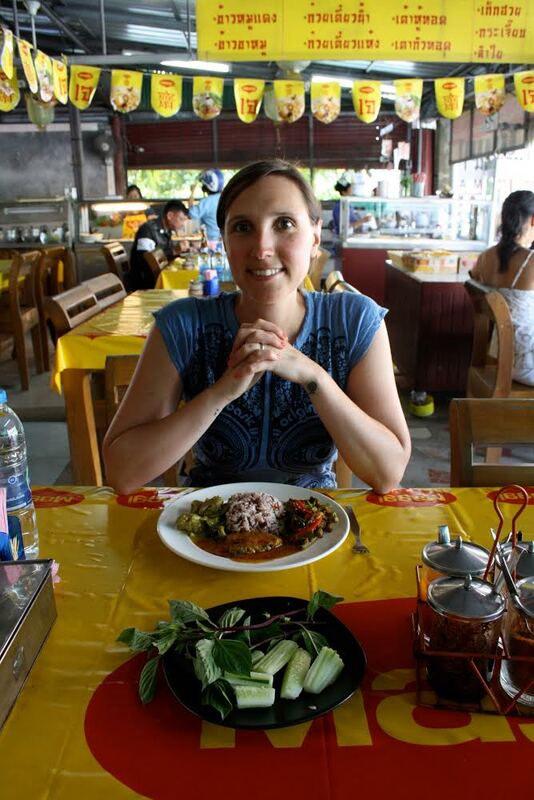 A yoga enthusiast, passionate runner and vegetarian to compassionate vegan convert (vegan since August 2012) – this lovely lady Regina runs the German food blog Muc.Veg, a diminutive for Munich Vegan, that focuses primarily on restaurant reviews and recipes from Munich and beyond. Munich is the city where Regina works, runs, practices yoga and has lived since 2007. We’ve been following one another since the early days of Vegan Miam and whenever we read Muc.Veg we are fondly reminded of our lovely visit to Munich back in 2011 . We had some incredible meals in this brilliant city, including the unforgettable Max Pett. 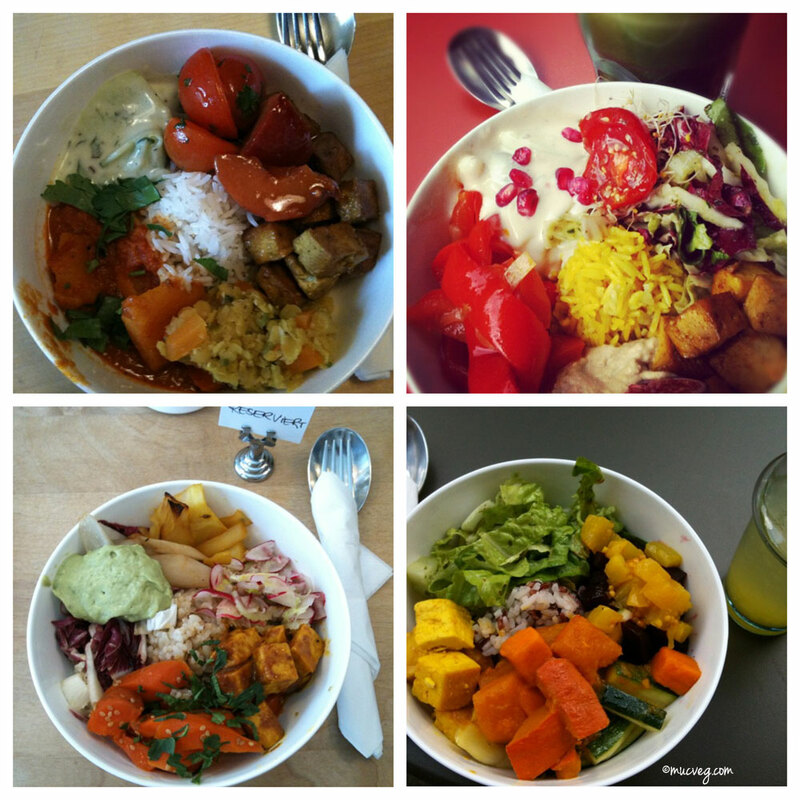 So for anyone looking to visit Munich, we have the pleasure of sharing the Muc.Veg Five Vegan Eats in Munich. While there is Vegetarian Festival in Phuket going on in October, here in Munich they just finished the so-called ”fifth season” Oktoberfest. Sadly about 6.3 million visitors ate 112 Oxen and 48 calves and drank 6.5 million litres of beer. But the good news is that there are many places with vegan options such as the “Herzkasperl” beer tent’s soup, soy-gulasch and Cheese-Spaetzle. You may not expect it, but the “Weißwurst-Hauptstadt” (the capital of white sausages) Munich offers quite numerous vegan options. 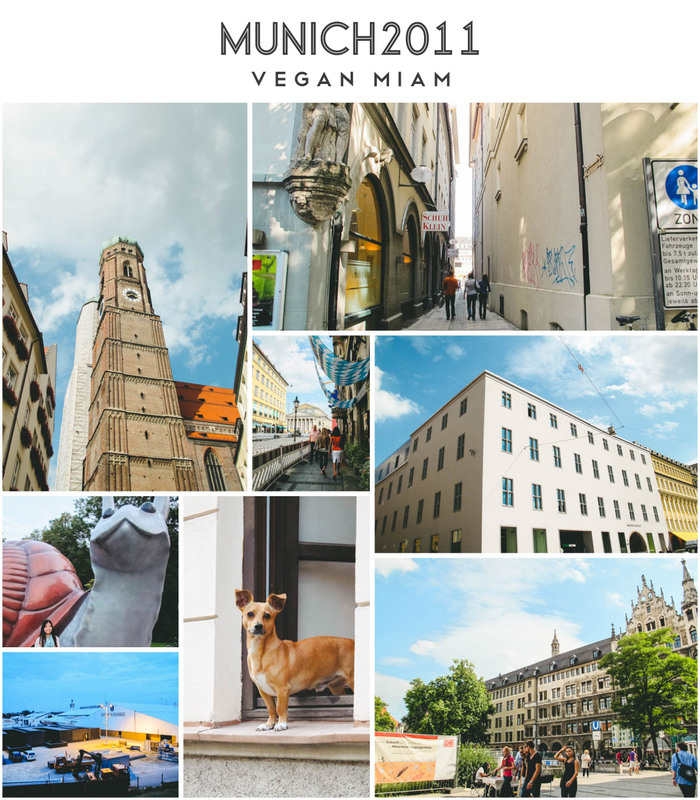 Let me introduce you to some of my favorite Vegan Eats here in Munich, the city where I work, run, practise yoga and have lived since 2007. Max Pett is the first vegan restaurant in Munich with a really nice, calm and modern atmosphere. In November 2010, Lena Hoening opened Max Pett with Chef Peter Ludik, the former chef for another great vegan restaurant in Munich. The menu has a small variety of items – starters, soups/salads, mains and desserts. 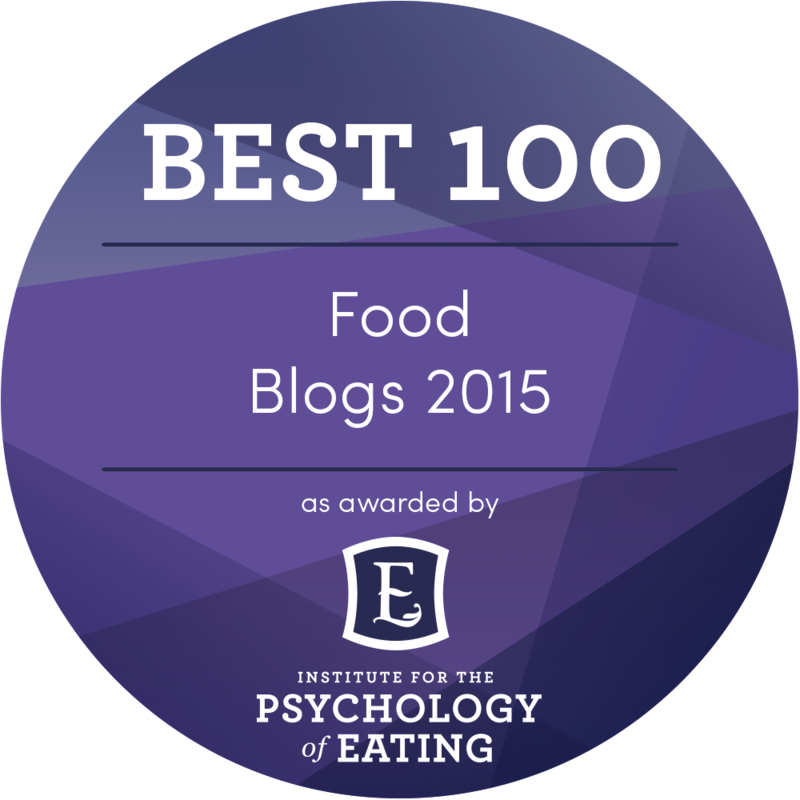 Their desserts are unforgettable such as their vegan Italian tiramisu and ice cream. The cuisine is mainly traditional German (Bavarian) with an Italian touch, you will discover their ‘Cheese-Spaetzle’ next to Risotto and pasta dishes and Schniztel on the menu. Lena and Chef Ludik strive to use local and organic ingredients with a menu that changes seasonally. They also offer weekly specials. 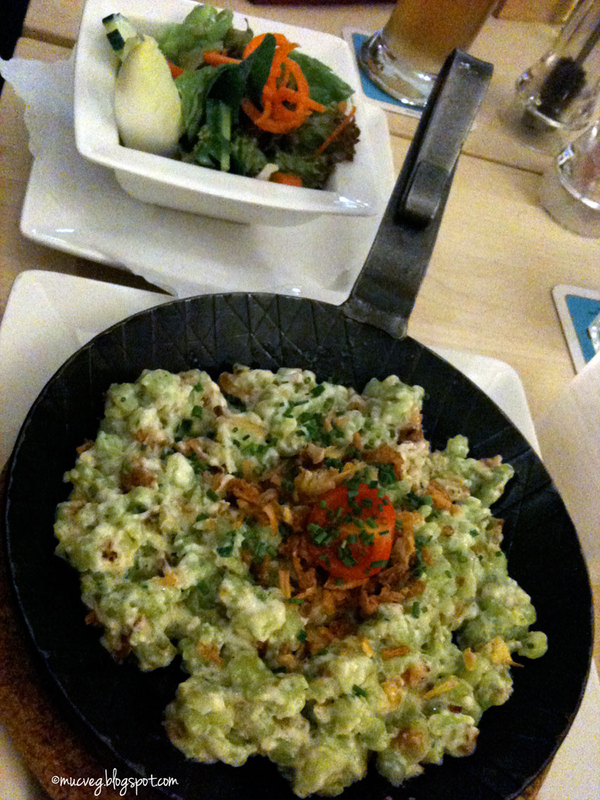 Two of my favorite dishes at Max Pett are the Allgäuer Kässpatzen (cheese spaetzle) and the Ginger-Carrot-Soup. And of course there is always room for their ice cream: Peanut and Chocolate. At Max Pett, no alcohol is served in memory of Professor Dr. Max Pettenkofer, but they have a large variety of non-alcoholic beverages (e.g., juices, tea, coffee, beer, and wine) which is worth to try! We dined at Bodhi very often right after it opened on Christmas Eve 2013. The restaurant is a German bar-style place with wood furnishings and a laid back atmosphere, plus great music and service. The owner Klaus Kuttner is a young guy who opened Bodhi at the age of 26 after completing his studies in landscape architecture. Behind the kitchen is head chef Serkan Tunca, a famous vegan chef and has cooked at numerous vegan places in Munich and Berlin. Their small menu changes often and focuses on seasonal produce. They serve a variety of 100% vegan traditional Bavarian dishes as well as burgers, salads and some Oriental dishes. The name of the restaurant, ‘Bodhi’, stands for ‘tree of awareness’. Veganism and yoga belong together as the sun and the moon. 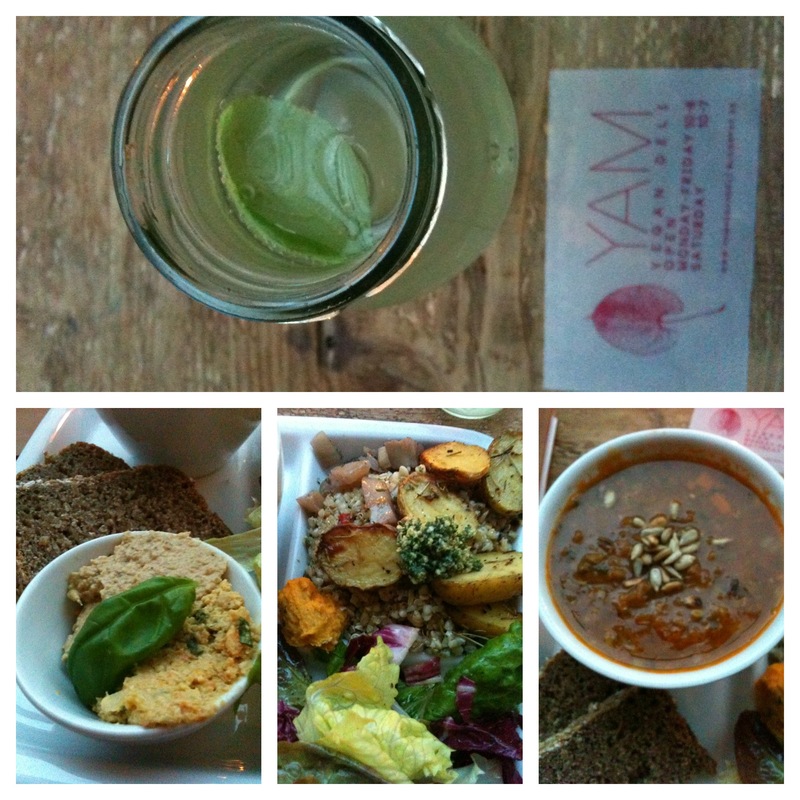 Yam Vegan Deli is a small 100% vegan eatery with a yoga studio and little grocery shop, conveniently located near the Central Station. Once inside, these two big wooden tables (one in the middle of the deli and another in front of the window where you enjoy your food and watch people) evoke an urban feel and calm atmosphere. They offer delicious fair trade and organic food selections such as soups, salads, cakes, breakfast, coffee, chocolate, dips and spreads. Their menu changes daily and be sure to check out their Facebook page to view their current day’s daily specials. Yam Vegan Deli also serves freshly made lemonade and pressed juices, coffee and tea. Their little grocery shop has few essentials like soy milk, vegan wines, spices, tea, dips and cookies. 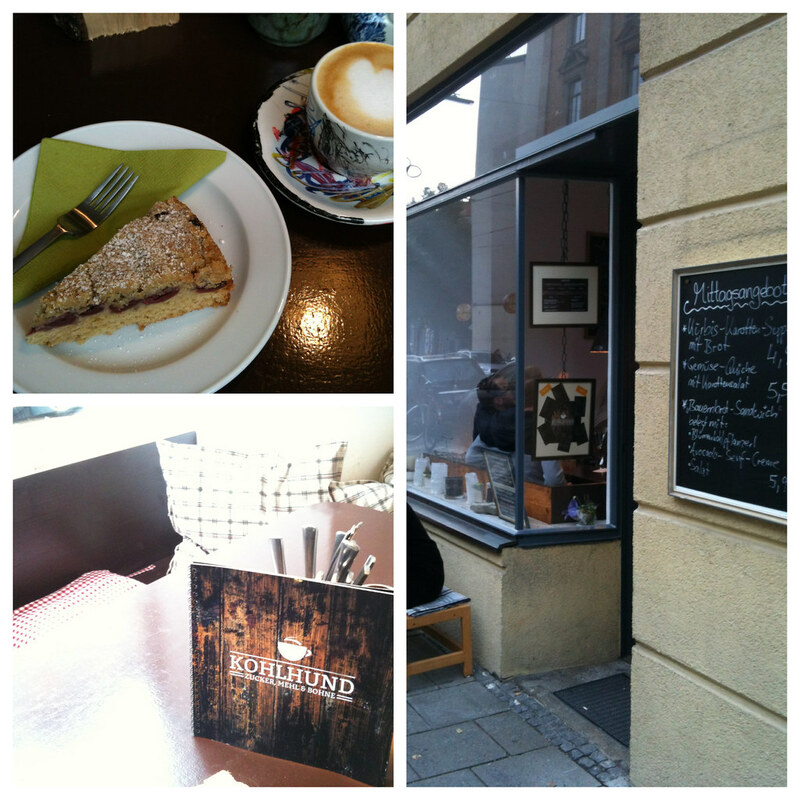 One of my favorite vegan places in Munich for lunch and/or great cakes is Tushita Teehaus. The small comfy teahouse is particularly famous for its huge variety of vegan and organic teas, dishes and cakes. The lunch menu changes daily depending on the Chef’s mood, weather and content of the fridge and offers two different size sizes: Small and Medium. Small portion is a reasonable serving size for anyone who wants a cake afterward. Tushita Teehaus serves delicious Asian fusion rice bowls (choice of brown, sushi or jasmine rice), roasted vegetables, salads and vegetable moussse (e.g., guacamole, red beet mousse or pupmkin spread). 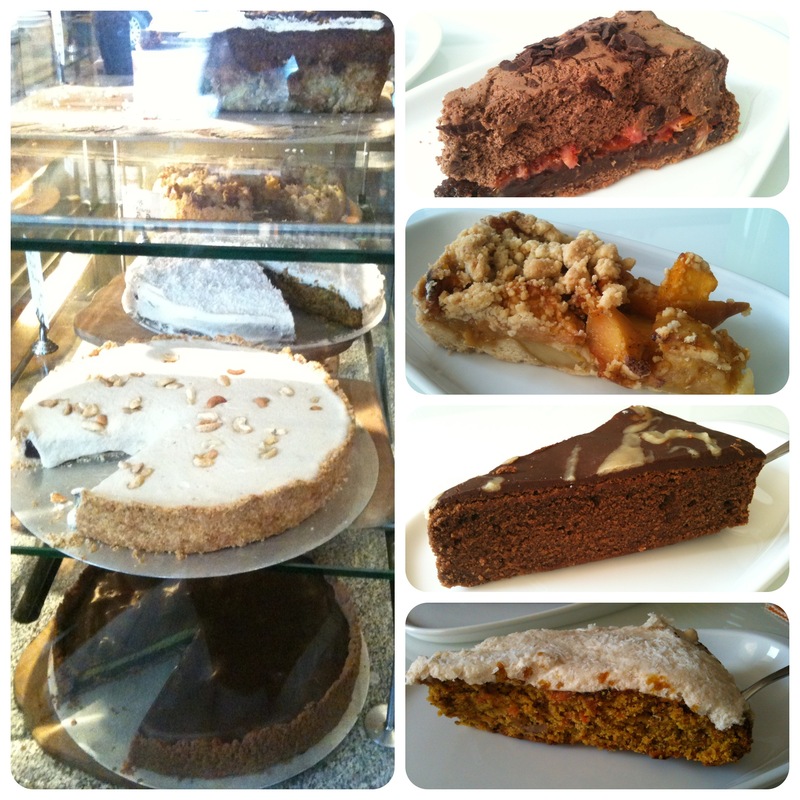 Tushita Teehaus’ large selection of vegan cakes are hard to choose from! I recommend trying their Chocolate-Avocado Cake (created by head chef Surdham Göb), with bright green and chocolate layers – it tasted fresh and not too sweet. Centrally located in Munich, Kohlhund is a small vegan and vegetarian cafe with 100% vegan bakery serving a medley of baked goods – from bread to sandwiches, pastries, cakes and coffee. The cafe offers a rustic yet urban atmosphere. At Kohlund, you can find the traditional German ‘Sauerteigbrot’ (sourdough bread) in different versions, filling sandwiches, soups and yummy cakes. Their baked goods and snacks are delicious meal on the go and made to perfection by the owner Johannis Kohlhund. Along with these five vegan eats, Munich offers a lot more for vegans. There are even more vegan restaurants such as the Cafe Gratitude and the newest Tian as well as delis, Max Pettchen and Royal Kebab. For grocery shopping, there are two vegan supermarkets: Veganz and Radix. Munich also has some vegetarian restaurants with vegan options such as the Vegelangelo and Prinz Myshkin. Vegans will find lots of tasty food in Munich, so there may be a ‘Five Vegan Eats in Munich, Part II” and of course German beer is always VEGAN! 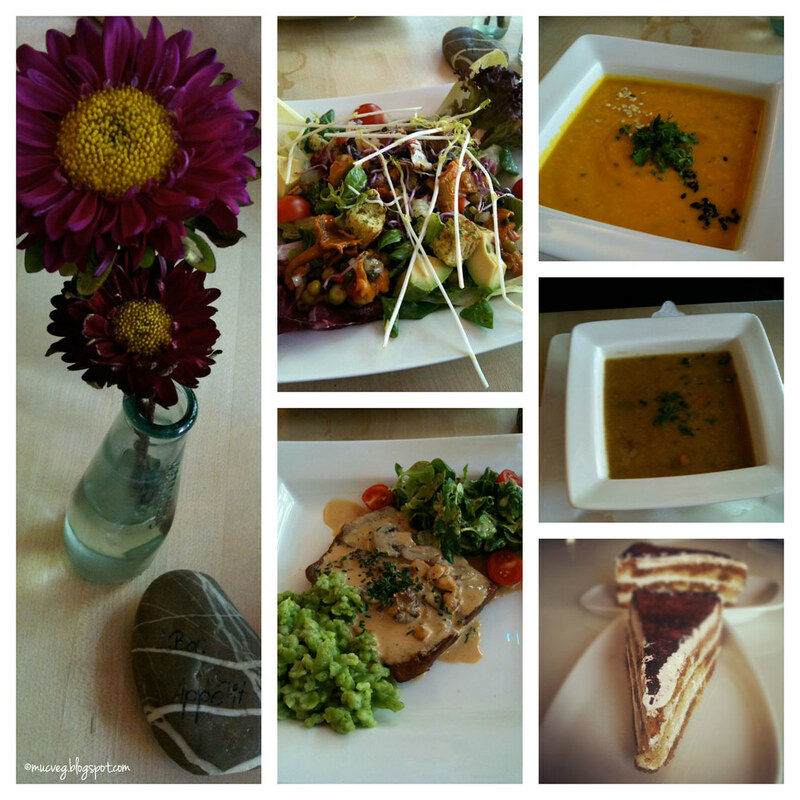 The Munich Vegan (Muc. Veg aka Regina) lives and works in Munich since 2007 with a passion in yoga and running. She loves trying new vegan restaurants in Munich and beyond. Regina has been a vegetarian for 14 years and converted to vegan two years ago in August 2012. If you have any questions regarding her guest post, please feel free to leave a comment below or contact Regina at her blog. Find Regina/Muc.Veg on Instagram and Facebook. Have you ever been to Munich or Germany before? What is your favorite vegan German recipe?